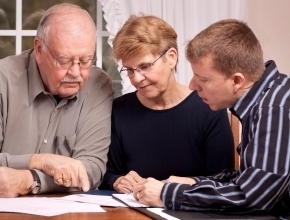 A will is a document that records what you want to happen to your property after you die. Anyone who is over 18 years old can make a will provided they know what a will is, have a general understanding of the amount and kind of property in the will and are able to evaluate the moral claims that they ought to consider in making their will ( R. Long and T Coffey, Rest Assured, 4th Ed. 2005.) Parents can indicate in their wills who they wish to act as the guardian of their children. The guardian's powers only apply until the child reaches 18 years of age. A trust is a means of appointing people, called trustees, to manage and use property (e.g. money, shares, real property, etc) for the person with intellectual disability (known as the beneficiary) in the way specified in the trust. Once trust property is invested in the trust it cannot be withdrawn or used for anything other than the purpose that the trust was created to serve. Before a trust is created, you need to consider how much freedom, referred to as discretion, the trustees will have in deciding whether and when to spend trust for the beneficiary. If too little discretion is given, the trustees may not be able to respond appropriately to changing circumstances. Other important things to consider are the choice of trustee, in that this person should have a good understanding of the needs of the beneficiary and their interests should not conflict with the interests of the beneficiary. It is usually better to have more than one trustee. Future planning means making decisions about the future while you are still capable of making those decisions for yourself. Do you need support at a police station?